A durable, waterproof, barrel-shaped holdall for expedition use. 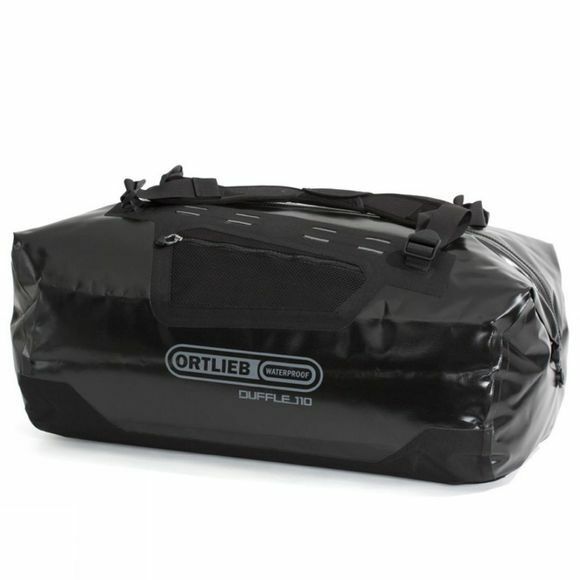 Ortlieb's Duffel Bag uses waterproof fabric, waterproof construction and a waterproof Tizip closure to completely lock-out water, and for travel security, the zip can be locked closed with a padlock (not included). The underside is extra-tough to withstand the rigours of exploration, and the adjustable padded handles allow you to sling it on your back like a rucksack for easier carrying.